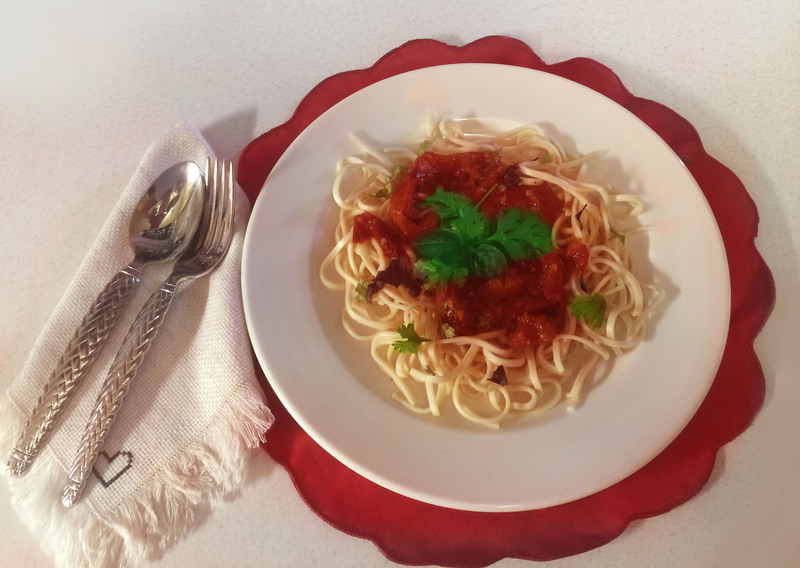 My Baked Tomato Sauce is so EASY to make! The magic is in the fresh ingredients. No more stirring and simmering over a hot stove. add 6 thyme sprigs (optional / recommended) and/or sliced onions before baking. 2) Slice tomatoes into 1/2″ (1 cm.) 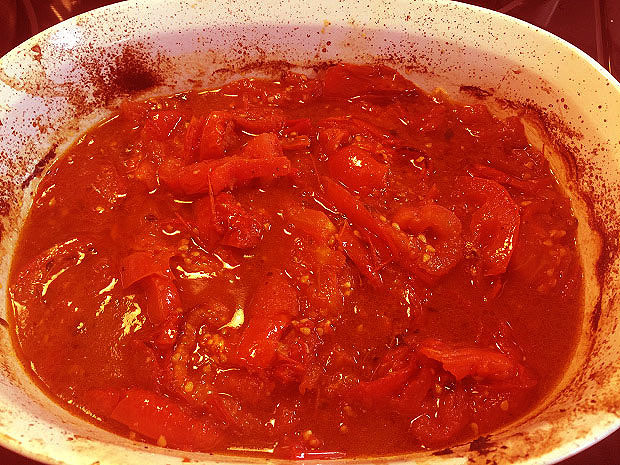 slices and layer in a casserole dish with the chili flakes, anchovies, garlic and pepper. Optionally add salt as well. Pour olive oil on top. 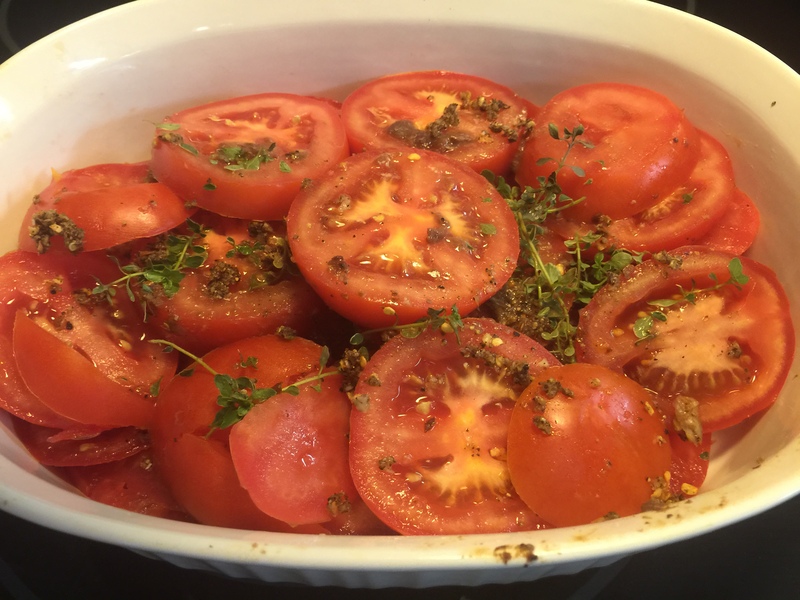 3) Roast in the oven for 1 hour or until the tomatoes are soft and caramelized. 4) Keep warm and cook your pasta. 5) Toss pasta with sauce and sprinkle with the basil or parsley. DID YOU KNOW? HEIRLOOM Tomatoes are increasing in popularity by the organic veggie consumers because they are a more natural and flavourful fruit. TOMATOES are armed with healthy Lycopene fighting free radical and the UV tomato skin battles cancer cells – every time you eat a tomato. 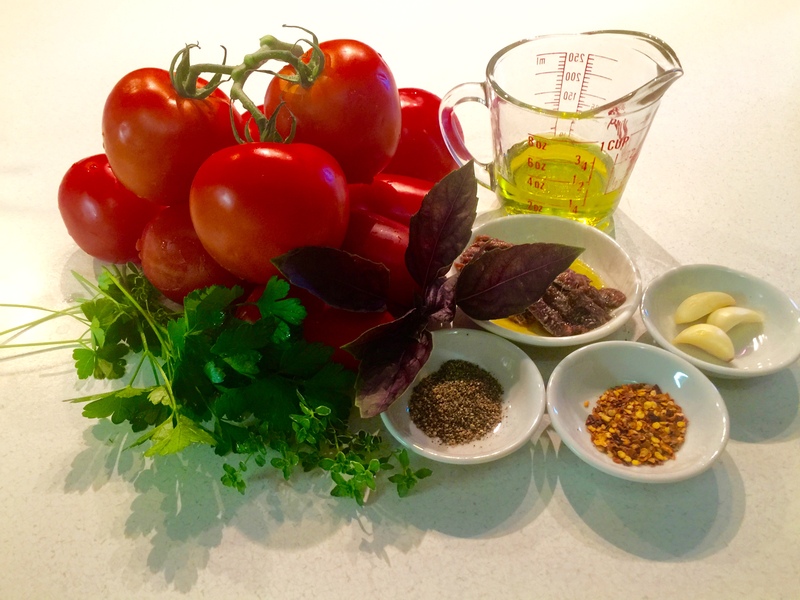 The amount of bioavailable lycopene increases by cooking the tomato compared to eating them raw. When you add a bit of healthy fat like olive oil, your body absorbs the lycopene more readily – four times more in fact. That’s how you maximize the body readiness of carotenoids from a tomato.This popular nightshade fruit is more powerful than an apple. Like carrots, the tomato is also good for your eyes. Anchovies blend in–you will not even know they are there. Trust me on this one. It balances the sweet sun dried tomatoes. This recipe is a big hit at dinner parties. Give it a try–at least once! Okay, I’ll take your word for it.